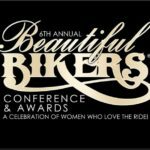 The American Motorcycle Association Women’s Conference focuses on educating, encouraging, inspiring and mentoring women who enjoy motorcycling. The event returns in 2012, set for July 26-29 in Carson City, Nevada USA known as one of America’s premier motorcycling destinations. Previous AMA International Women & Motorcycling conferences have been held in such location as Colorado; Georgia; West Virginia and Ohio. They featured targeted attractions for women motorcyclists – seminars, workshops, speeches, product and motorcycle displays and demonstrations, recreational riding and networking. “Regardless of bike brand, riding preference or background, women motorcyclists are bound together by their common passion for life on two and three wheels,” said AMA Marketing Manager Tigra Tsujikawa. 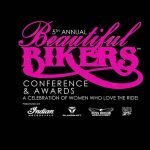 “The AMA International Women & Motorcycling Conference provides all of us the opportunity to connect with, and learn from, other women riders. Through seminars, activities, training classes and organized rides, we’ll work together to gain knowledge and skills to better navigate where the road or trail leads next.” Tsujikawa added that men are encouraged to attend the conference as well. The sixth AMA International Women & Motorcycling Conference will be held in Carson City, Nev., on July 26-29, 2012. Event and lodging information is available here. Early registration of $125 is available now exclusively for AMA members here. After April 30, 2012, registration will increase to $175 for AMA members and be available to non-AMA members for $235. 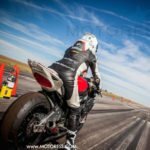 Ducati 848 EVO Lightweight for Women Riders!